The stock market knew Germany’s economy has been slowing, yet it couldn’t handle another bout of weak economic data out of Europe’s biggest economy. On Friday, the market learned that Germany’s Manufacturing Purchasing Managers’ Index declined in March to 44.7 (readings above 50 are considered expansionary), representing a 79-month low. That sent the U.S. stock market into a tizzy, with the Dow Jones Industrial Average (^DJI) falling 460 points — its worst day since Jan. 3. The data fanned fears of a global economic slowdown. The weakening data out of Germany isn’t new. 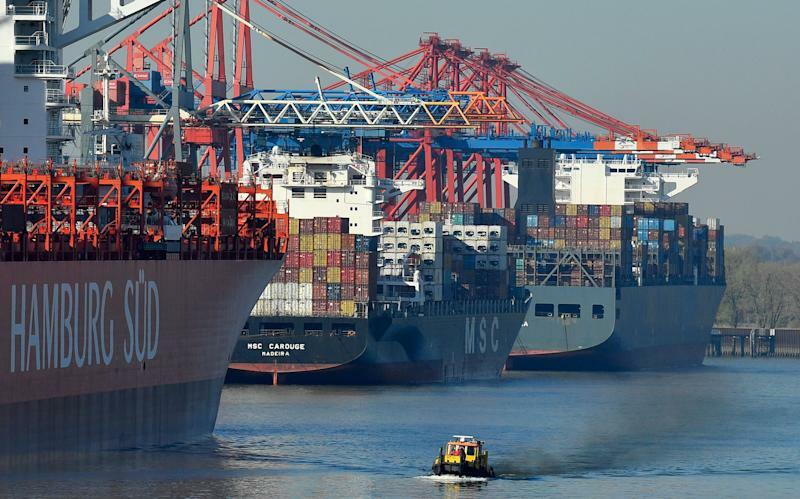 Back in mid-February, a report showed Germany’s economy grew 0% in the fourth quarter of 2018 after contracting in the third quarter of 2018. The reading put Germany on the brink of recession, which is widely defined as two consecutive quarters of negative GDP growth. Still, Hatzius thinks Friday’s market action was an overreaction. Euro area PMI, excluding Germany, remains a hair above 50, while Euro Area Services PMI remains above 50, the analysts noted. Goldman notes the low unemployment rate in Germany (at 5% compared to 7.8% for the entire eurozone) should help its economy weather the manufacturing slowdown. “We still think the manufacturing weakness will remain a manageable headwind for the overall German economy and for Europe more broadly,” the analysts wrote. IHK Markit, which gathers the PMI data, cited uncertainty surrounding U.S-China trade tensions and the UK’s withdrawal from the European Union as factors behind the slowdown in German manufacturing. And Goldman notes, an easing of those aforementioned uncertainties is key to the recovery of Germany’s manufacturing sector. “And while US.-China trade negotiations are taking longer than we had expected, it is still likely that Presidents Trump and Xi will sign a deal within the next few months,” the analysts wrote.